This is the one Chapin Sprayer which combines several nice features making it a good unit. The Brass wand is standard as is the zinc shut off valve. These are not common components of most sprayers in this price range. Combine this with an adjustable brass nozzle, a fully serviceable pump assembly and you have a sprayer which can provide years of service. 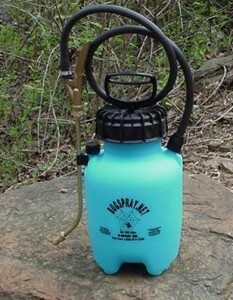 This sprayer is slightly smaller then our other 1 gallon units but it’s just as functional and can handle most any job.